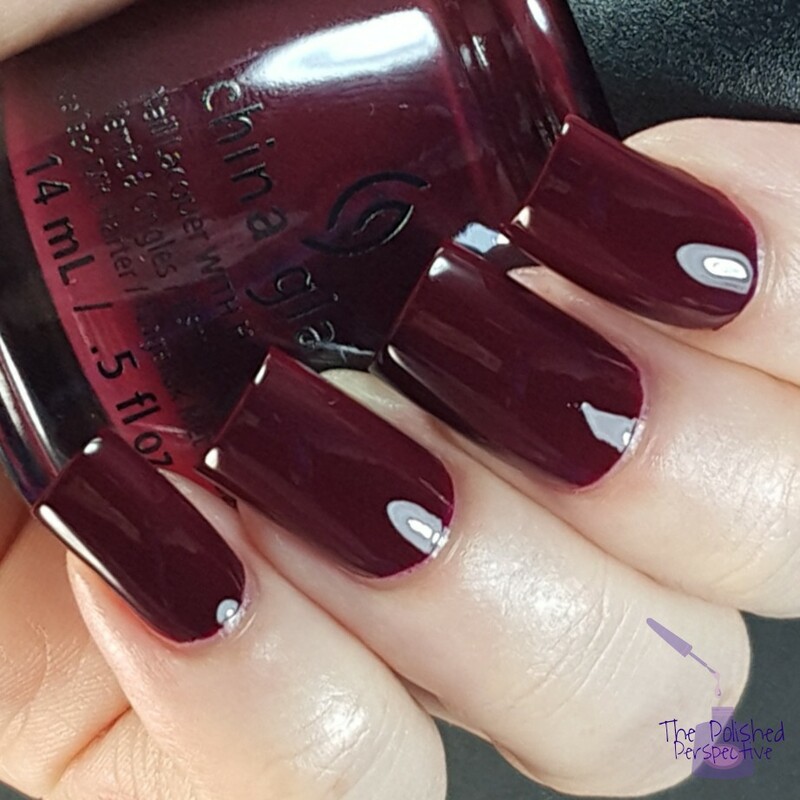 Wine Down For What: this is the toned down and tame polish in the collection. Two coats, no top coat. 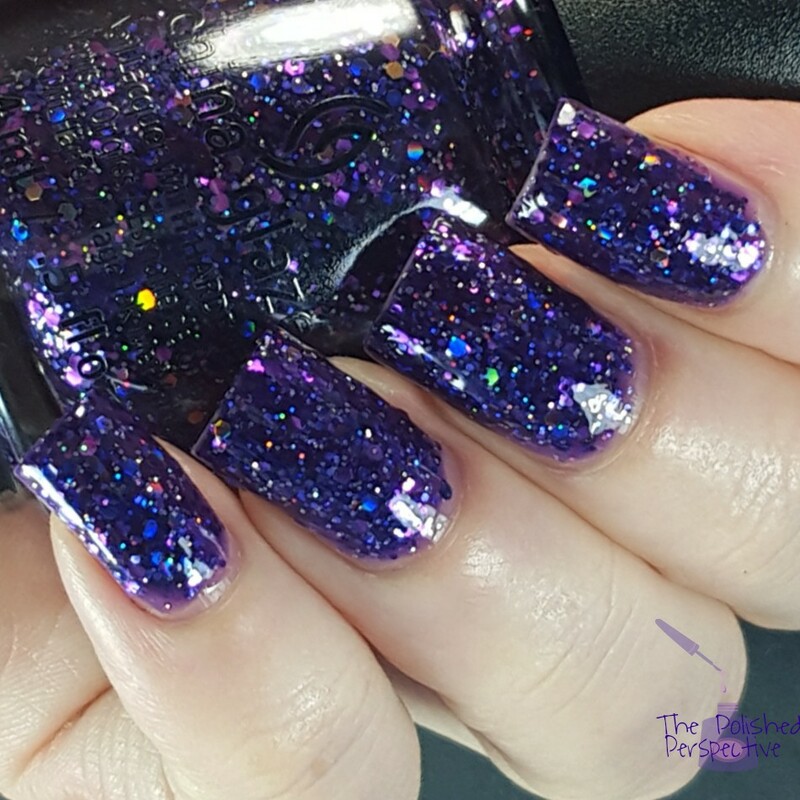 Mix and Mingle: this neon purple will contrast very well with the little black dress and be a great base for the glitters. Three coats, no top coat. 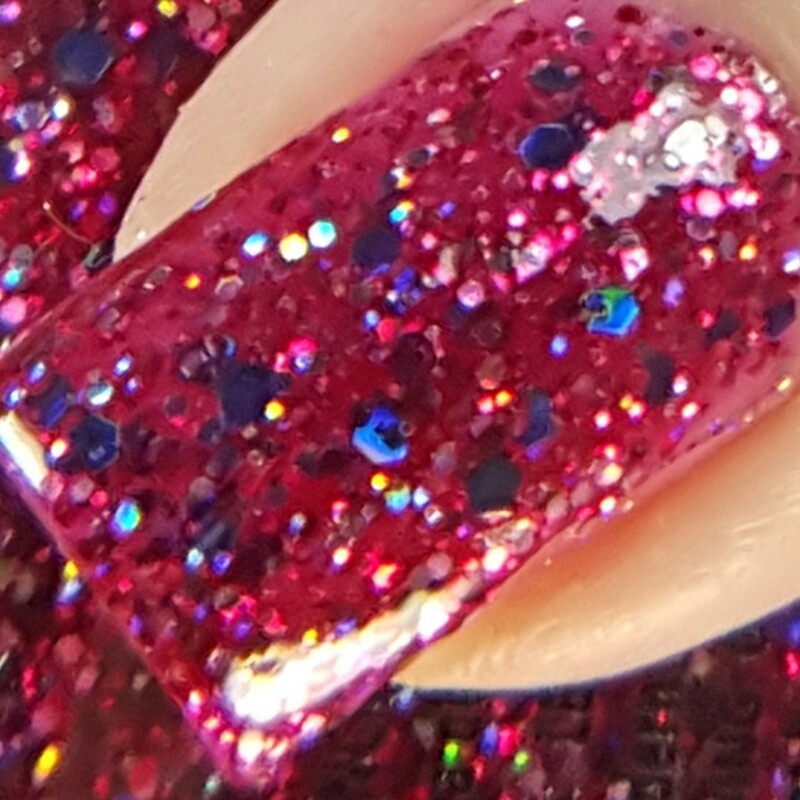 Son Of A Nutcracker: shimmery coral. I'll admit, in the bottle I did not like it. 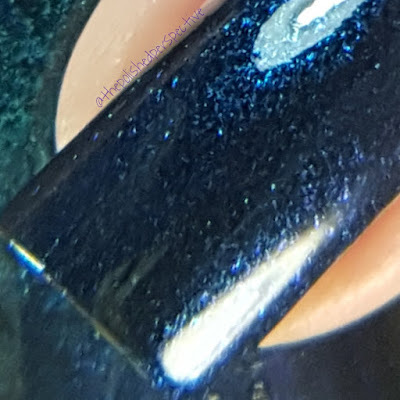 On my nail, it looks great. Two coats, no top coat. Peppermint To Be: the traditional crimson shimmer. Three coats, no top coat. 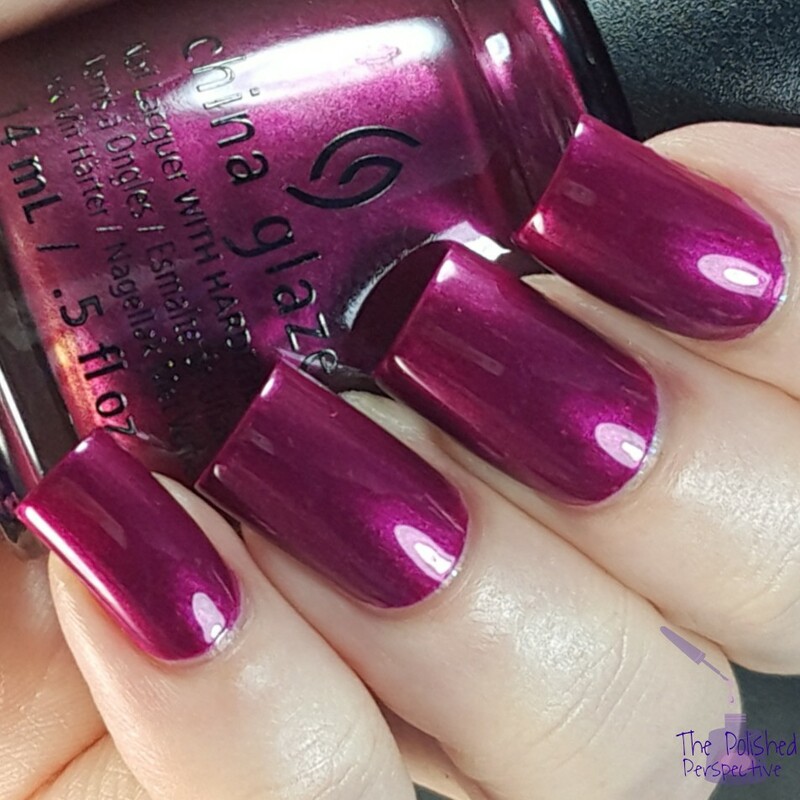 Better Not Pout: purple shimmer. I love this one because it really glows. Two coats, no top coat. 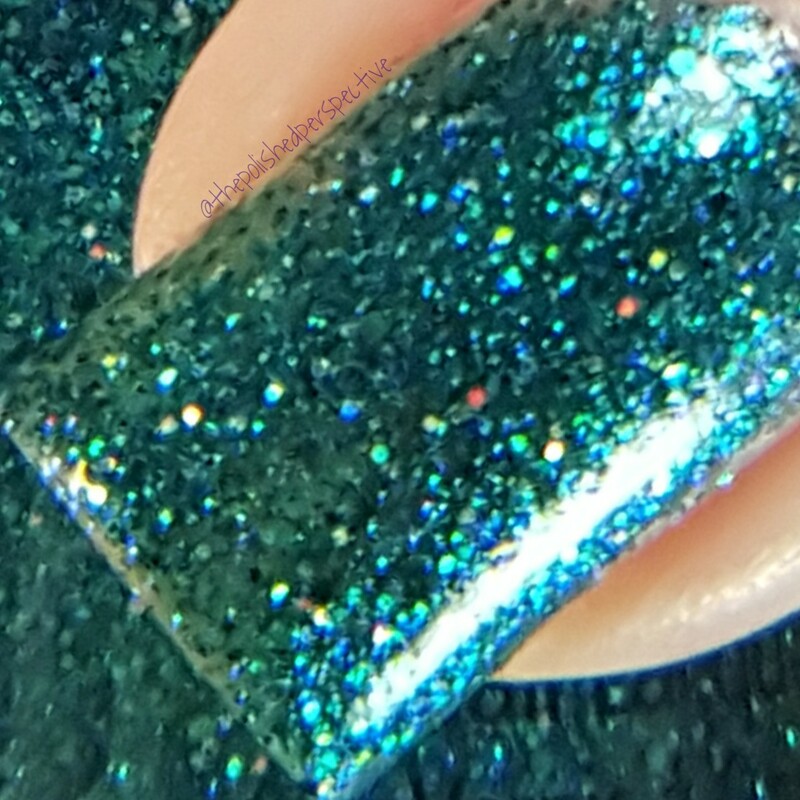 Don't Get Elfed Up: this one is an awesome blue with teal shimmer. 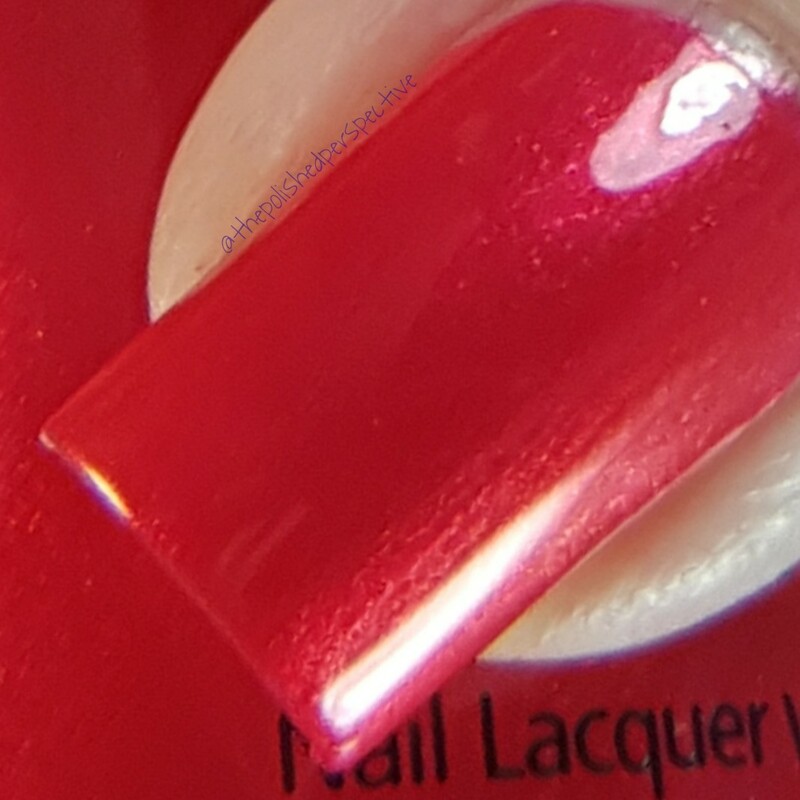 Two coats, no top coat. Now is the time to clutch your pearls because it will now get interesting. 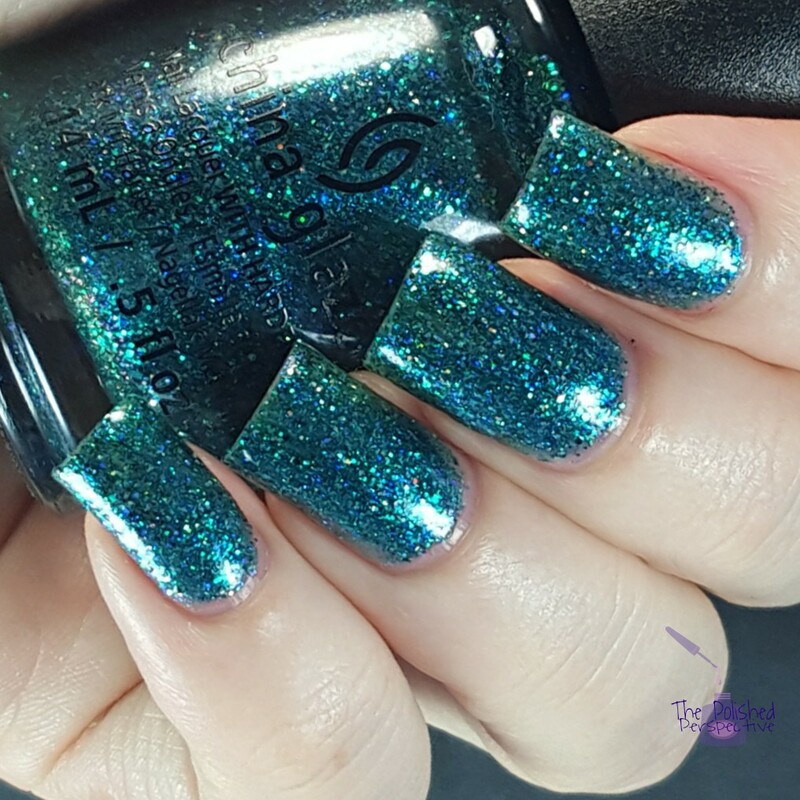 I Soiree I Didn't Do It: hello mermaid! It's nice to see your appearance during the Holidays! Three coats, no top coat. The nail artist in me sees the potential in this. Christmas mermaid?! I dunno. I see an awesome, sparkly mermaid green. 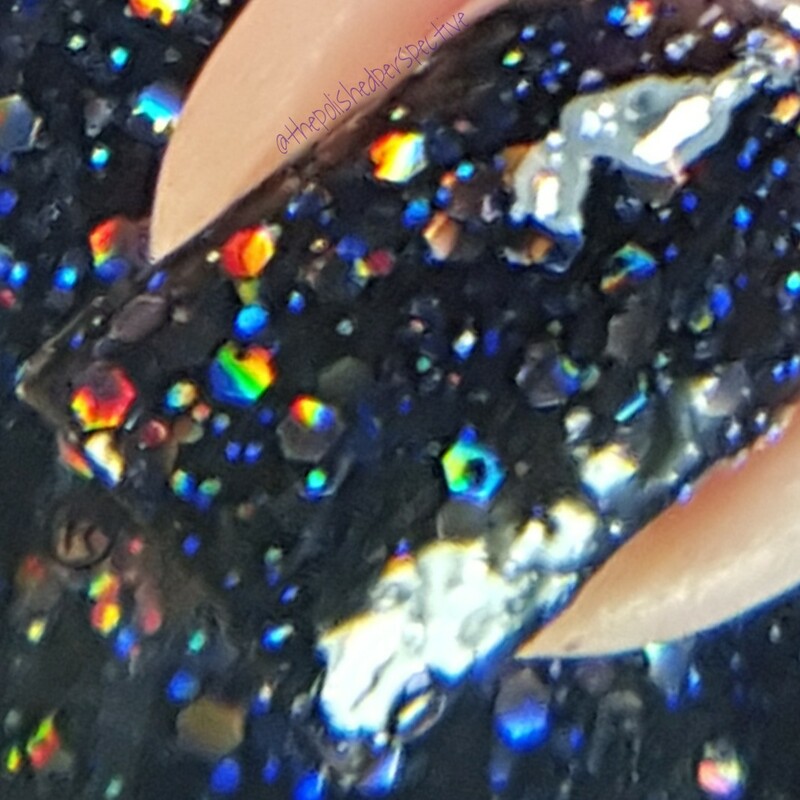 Coal Hands, Warm Heart: black jelly with holographic glitters. 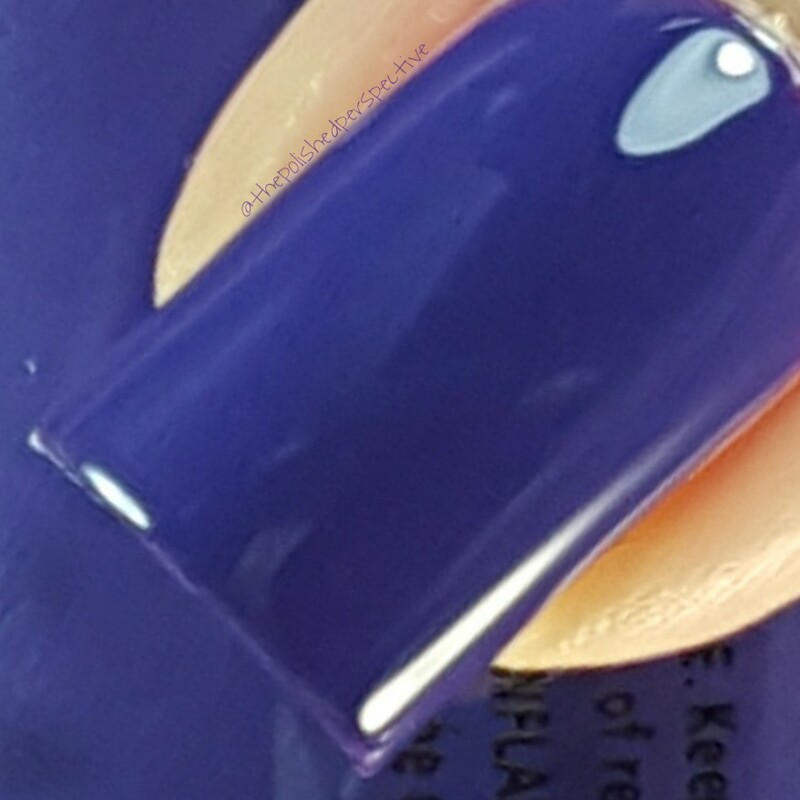 Three coats: one super thin coat, one dabbed on coat, one thin coat. This is for your sophisticated party with an open bar. Brand Sparkin' New Year: this formula is just like Coal Hands. 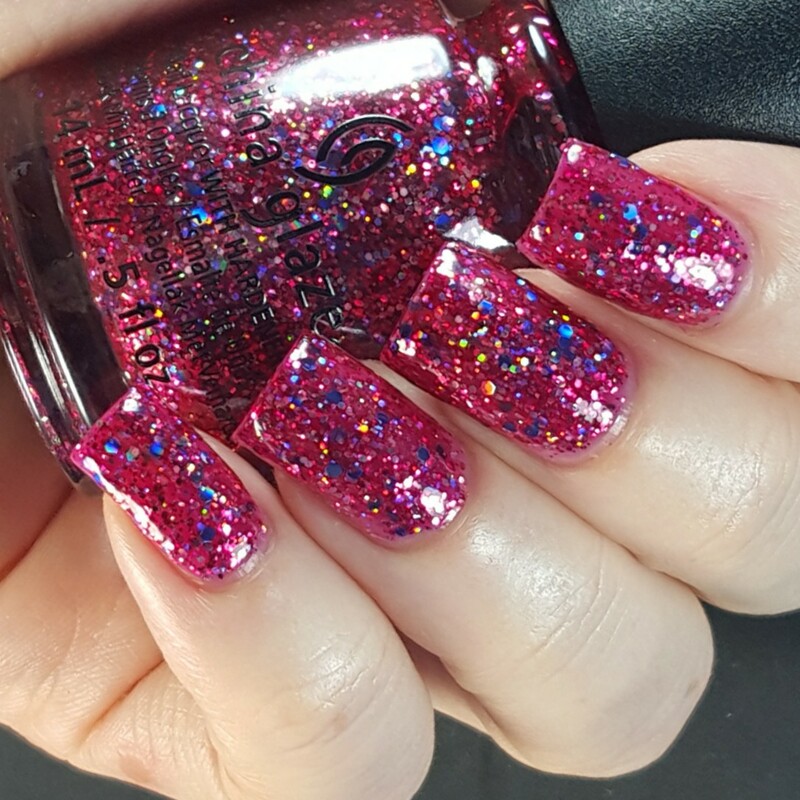 Thick glitter with a tint. I picture this on my nails while poppin' a champagne bottle. Ugly Sweater Party: I dig it. This is 100% compatible with my poinsettia sweater with the grandma collar. 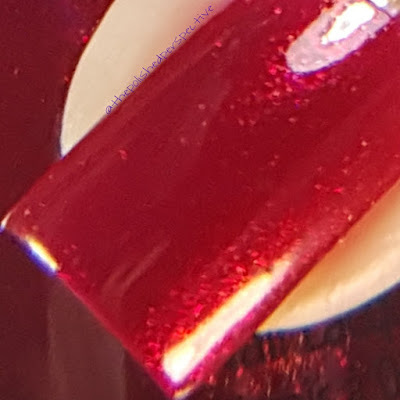 Three coats, with top coat. We're in the home stretch. GLITTER TOPPERS!!!! Bring On The Bubbly: gold glitters in different sizes. Super festive. One coat over a base of Wine Down For What. Break The Ice: silver holographic icicle shards. Okay, this has a lot of potential. This will look fantastic over a silver. Or a silver to blue gradient. It looks just like icicles. 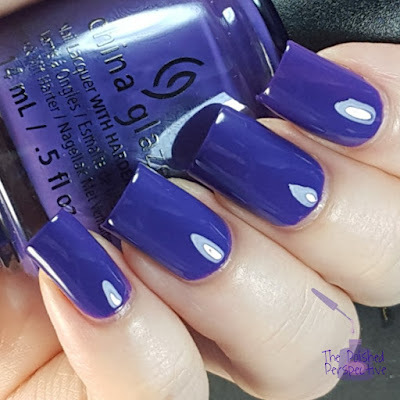 One coat over Mix and Mingle. I like this collection. It's interesting and has a little something to pair with every Holiday party attire. Open to everyone over 18. If you are international, you must pay for the shipping. Peppermint to Be is awesome! My favorite is going to have to be I Soiree I Didn't Do It! I love how you described which scenarios you saw yourself in each polish. 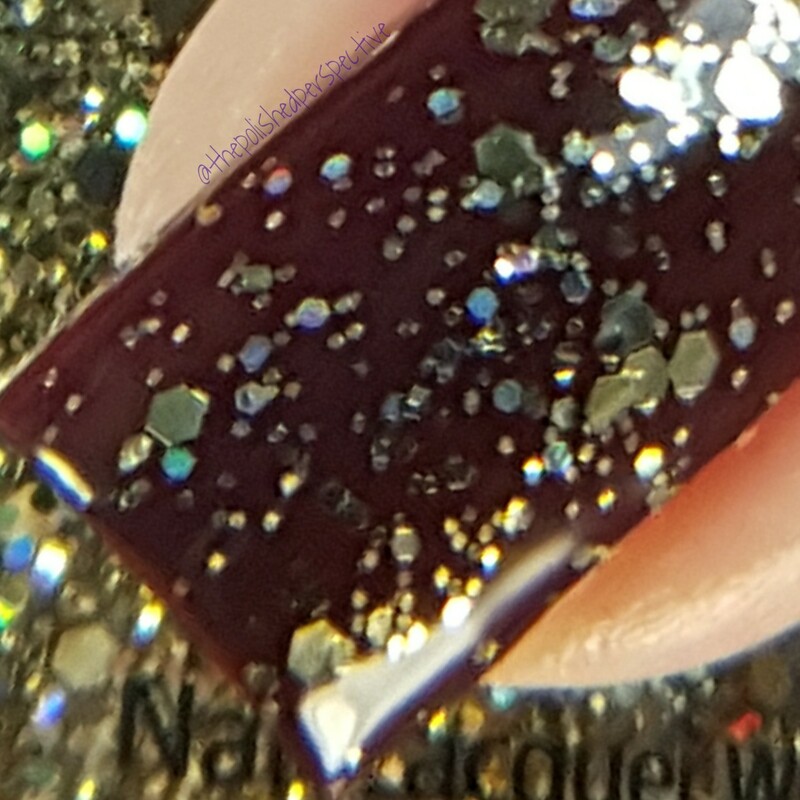 Very fun read, and beautiful swatches! Beautiful swatches! I'm so excited for Brand Sparkin' New Year! Beautiful swatches! I love those glitters!! I love Brand Sparkin' New Year. 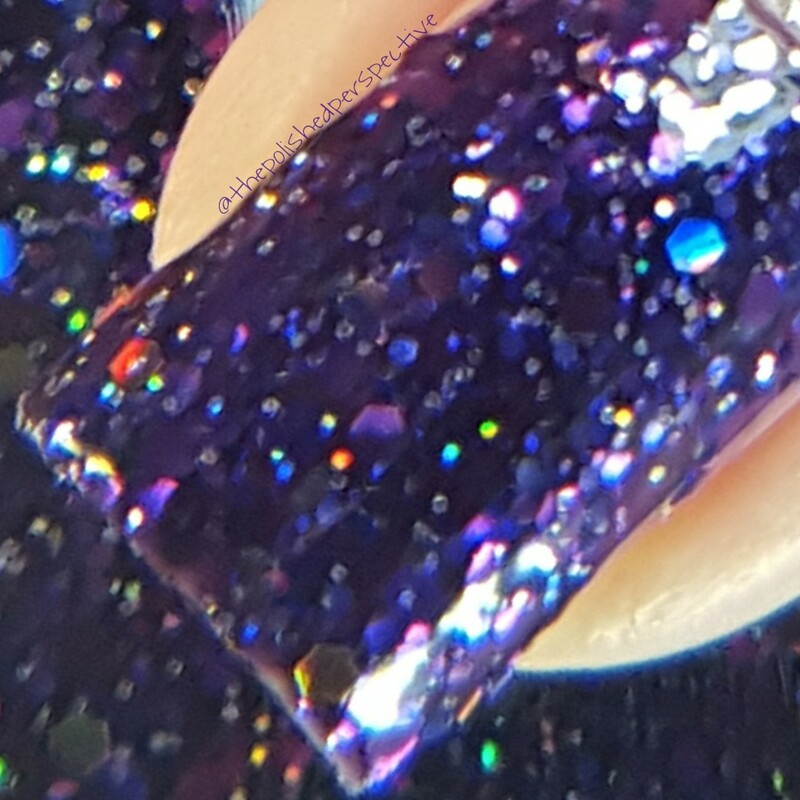 Great macro shots of all the polish. I NEED every glitter wowww! Oh my goodness! 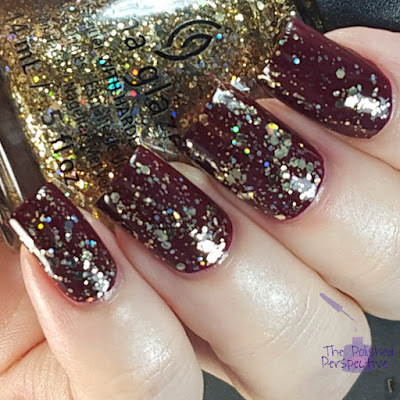 This collection is amazing and your swatches are perfection!! I NEED Coal Hands, Warm Heart. Beautiful swatches! I have already orderd up some of these. The opinions on Break the Ice seem to be mixed -- I am interested to se how it works out in person. I really love Coal Hands, Warm Heart! This collection looks beautiful, and thank you for the giveaway! You make them all look so good! I love all of these especially the glitters! I like Coal Hands, but Peppermint to Be has the cutest name- love it! The whole collection is nice, something for everyone. My favorite is Coal Hands, Warm Heart. The glitters in this collection are stunning! Great swatches! Awesome collection! I find I prefer the dark jewel tones of the cold months more than the light pastels and neons of the warm months. It's hard for me to choose a favorite. Red and purple are my weaknesses. 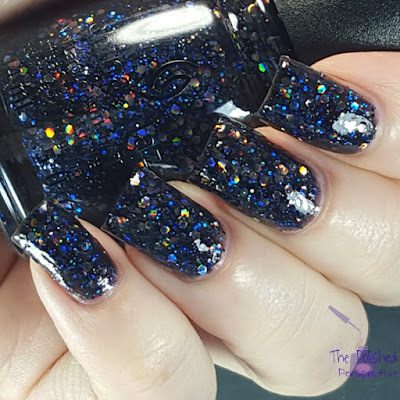 Son of a Nutcracker, Peppermint To Be, Brand Sparkin' New Year, and Coal Hands Warm Heart are my favorites in this collection, but they're all beautiful. Thanks for such high quality swatches! 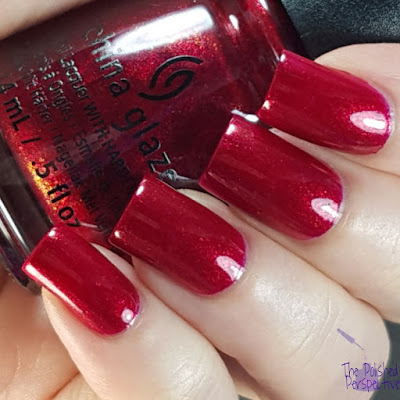 Fantastic swatches! I love the black jelly! I'm not a big glitter fan, but I like the purple Mix and Mingle, and Son of a Nutcracker. Gorgeous collection! I really love those shimmers! Gorgeous swatches. I love the entire collection, but I Soiree I didn't do it and Don't get elfed up are my favorites. Ugly sweater party looks like it would make a great gradient over Zoya Paloma. I love plummy colors. The glitter jellys are all so amazing. I love this collection! Oh wow these swatches are amazing. I love them all, there's no way I could choose a favorite from this collection. Thank you so much for these swatches and for the giveaway ! I love all the colors, but I must admit that my favorite one is Cold hands, warm heart, it looks so unique ! Thanks again, best of luck to every one for the giveaway. Oh wow!! I love ALL of them...such a lot of wow here!! Beautiful swatches lady! I can't wait to get Coal Hands, Warm Heart on my fingers! 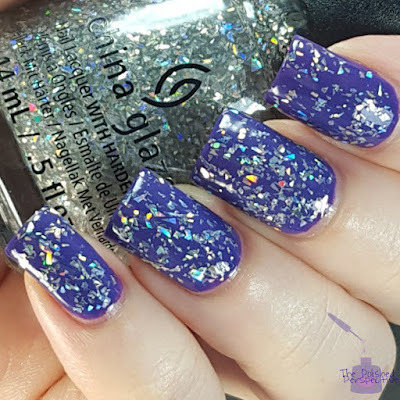 These are all so gorgeous, but especially the glitters!! This is an amazing giveway! This is a gorgeous collection! And as always, your swatches are beautiful! My fav is break the ice, but they are all beautiful!! Excellent swatches! 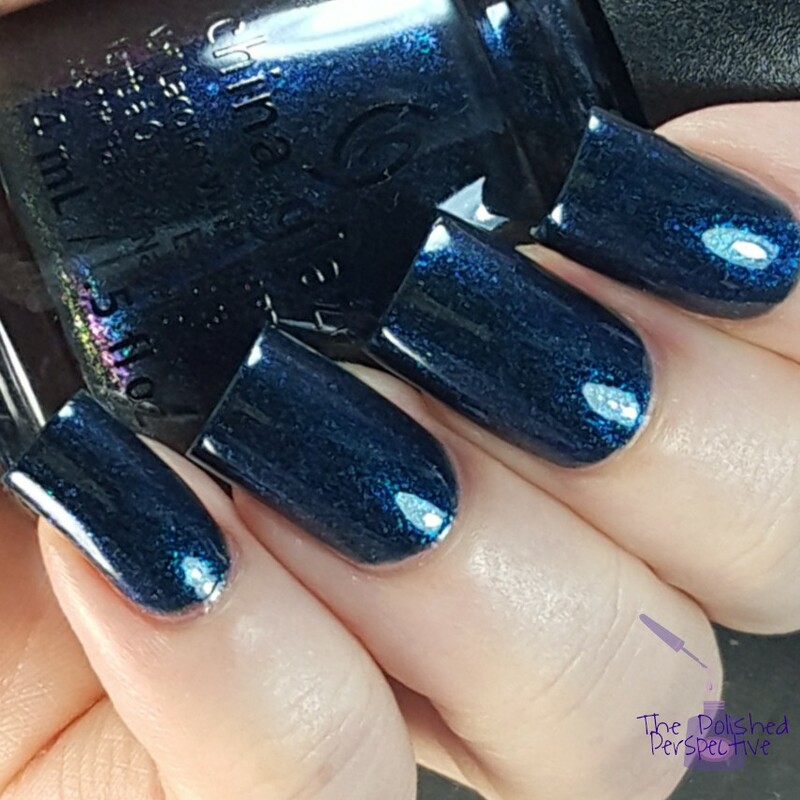 Better Not Pout is my favorite in this collection! I can't choose, I love them all! 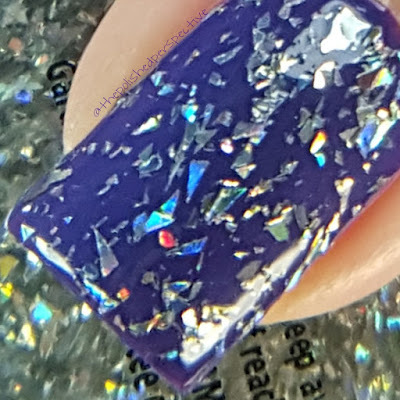 I love the Break the Ice shade! I like the I Soiree I Didn't Do It! 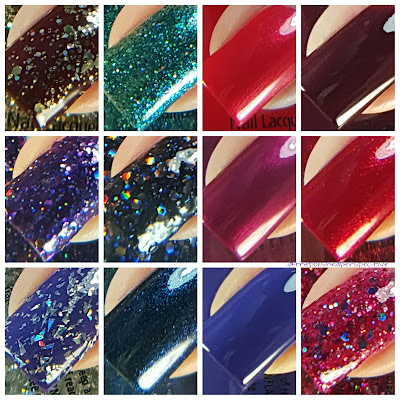 Your swatches and this collection is gorgeous! I'm loving Ugly Sweater Party!! Thank you! 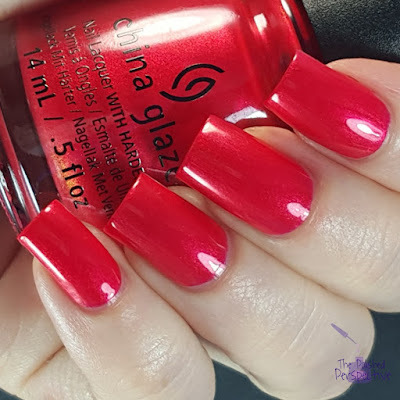 China Glaze did a great job with this collection! Especially loving Ugly Sweater party. 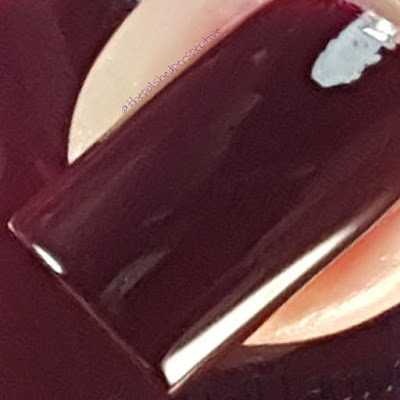 Your swatches are beautiful too, as always! Break the Ice...I have a soft spot for shard glitter. I love ugly sweater party! sooo shiny! Peppermint To Be is calling my name! Thanks for the chance! Wine down for what is gorgeous, but I Soiree I Didn't Do It also catches my eye alot. I love Wine Down For What. I like I Soiree I Didn't Do It. Coal Hands, Warm Heart looks like something new not something I have other versions of. ahhh i absolutely love wine down for what and coal hands warm heart.. as well as don't get elfed up! so beautiful! Wine Down for What-gotta love China Glaze names! Son Of A Nutcrackcer and Don't Get Elfed Up are awesome! I need them. I love Mix And Mingle! Wine Down for What is absolutely beautiful! That has to be my favorite! I love Coal Hands, Warm Heart! I really like "Better not Pout." You're right it looks very glowy! I Soiree I Didn't Do It is absolutely gorgeous! Awesome collection!! I am totally loving Ugly Sweater Party! I love Ugly Sweater Party macro! All of these are so pretty. Several of these catch my eye, like Son of a Nutcracker, Mix and Mingle, and Better Not Pout. Thanks so much for this opportunity. Don't Get Elfed Up is beautiful! I like Wine Down For What. I Soiree I Didn't Do It, Wine Down For What, and Better Not Pout are my favorites! The whole collection is stunning! I like Better Not Pout. Coal Hands, Warm Heart catches my eye the most. I absolutely love this collection! Love the Bring On The Bubbly macro color. Peppermint to be is my favourite. I loved your swatches! Thanks for the Giveaway! They are all amazing but Brand Sparkin' New Year really caught my eye! Thanks so much for this incredible giveaway! I really like the Wine Down For What! Love wine down for what! The shade cool hands, warm heart caught my eye! I love how glitzy it is! I love the look of Coal Hands, Warm Heart but ohh my gosh I can't get over the glitz of Break the Ice. It's just soooo sparkly and reminds me of Winter. The Brand Sparkin' New Year looks great! But the whole collection is fantastic! 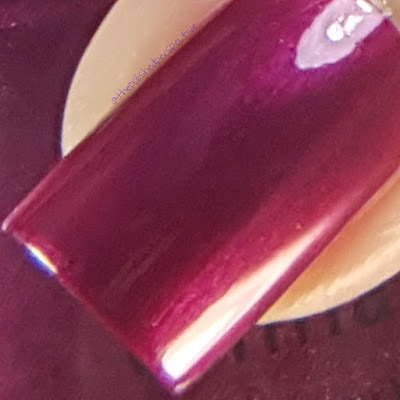 How does Mix and Mingle compare to OPI Funkey Dunkey?